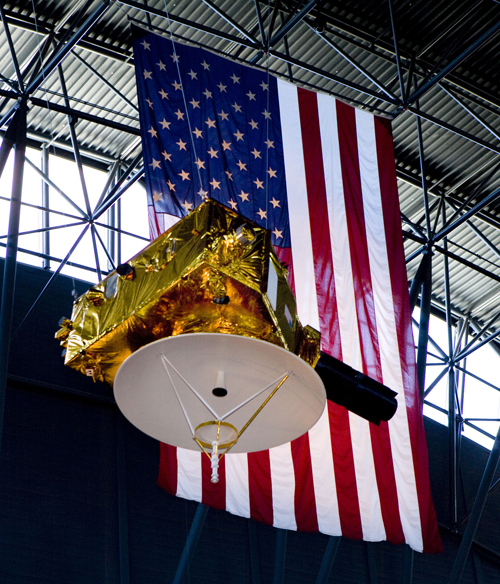 On January 19, 2006 NASA launched the first spacecraft intended to visit Pluto and the Kuiper belt. The Kuiper belt contains a huge number of icy planetismals, far outnumbering all the planets in our solar system, yet we know very little about this region. The New Horizons mission aims to fill in this gap in the knowledge of our solar system. The Kuiper belt is the largest source of cometary impactors on Earth, and in fact contains the remains of the materials that formed the planets of our solar system. Scientists have stressed the exploration of this region of our solar system as a top priority as it will give them insight into many exciting areas of astronomy including the formation of our solar system, the behavior of binary planet systems (and other binary systems), the evolution of Earth’s atmosphere, and even the formation and collection of the elements necessary to support organic life. With the completion of the New Horizons mission to the Kuiper belt, we will have completed the exploration of our solar system with unmanned probes. Scientists of all kinds are excited about the new data this mission will produce to confirm or improve our assumptions about the origin and characteristics of the solar system Earth resides in. The New Horizons Rocket, just before launch. What is the New Horizons Spacecraft? The New Horizons Mission is a 650 million dollar project that will go to the “double planet”, Pluto and Charon to discover what lies at our Solar System’s edge. This is the last planet to be visited by a spacecraft. It will also go on to explore one or more objects in the Kuiper Belt beyond Neptune. The spacecraft’s mass is 478 kilograms in total and is 0.7 by 2.1 by 2.7 meters in size. The spacecraft is projected to arrive at Pluto in July or August of 2015. 5 months prior to arriving at Pluto, the craft will start taking observations. They will start taking daily studies 4 weeks before arriving at Pluto/Charon. After it’s encounter, the craft will continue to taking observations for 4 months. The data will continue to be sent 9 months after the encounter. What are the scientific instruments on the craft? There is a high-gain antenna that is 2.1 meters in diameter. It also has a data rate of 38 kilobits per second at Jupiter and 0.6 to 1.2 kilobits per second at Pluto. However, the Pluto encounter data will actually take a total of 9 months to transmit. Alice is the ultraviolet spectrometer used for measuring gas composition. Ralph combines an infrared spectrometer (LEISA) for mapping surface composition with a color optical imager (MVIC) for mapping surface structure and composition. REX is a radio experiment for measuring atmospheric composition and temperature. LORRI is an optical telescope that provides the highest resolution imaging of the surface. PEPSSI is a plasma-sensing instrument for measuring the properties of the solar wind at Pluto, Pluto’s atmospheric escape rate, and for searching for a magnetosphere around Pluto. SDC is an instrument used to measure dust impacts at the New Horizons spacecraft during its entire trajectory and was built by students at the University of Colorado. What are the power systems on the craft? Power comes from one radioisotope thermoelectric generator (RTG) that has 11 kilograms of plutonium dioxide. The RTG will provide 240 watts of energy at 30 volts at the beginning of the mission. But because of the decay of the plutonium, the power will decrease to about 3.5 watts per year. By the time July 2015 comes, which is the earliest the craft will arrive, it will only producing 200 watts. The science instruments together need less than 28 watts of power. When, where, and by whom was the craft built? How, when, and where was the craft launched? The craft was launched January 19, 2006 at Cape Canaveral Air Force Station in Florida. 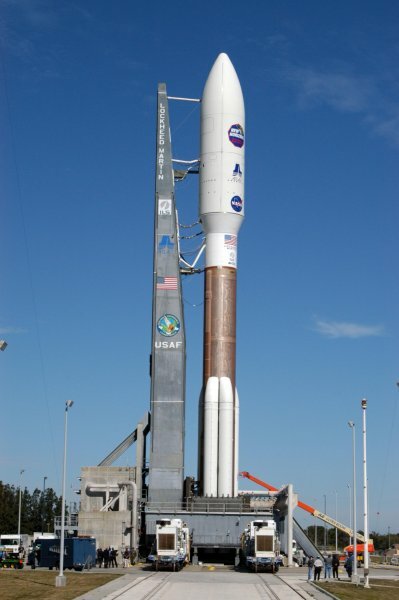 The Atlas V 551 will be the first stage of the rocket. The second stage is the Centaur. The STAR 48B solid rocket is the third stage.